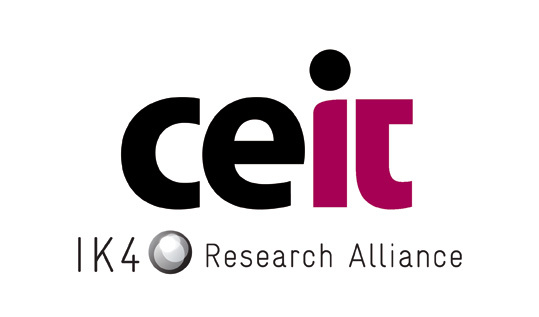 Ceit-IK4 is a non-profit research and technology organisation (RTO) closely connected to TECNUN, the Faculty of Engineering of the University of Navarra (Spain). Its mission is to provide industry with services through technical research projects and to train young researchers and PhD students. Ceit-IK4 promotes excellence in applied research by publishing non-confidential results and participating in scientific and technical forums. This RTO also has a comprehensive doctoral teaching programme in industry. Ceit-IK4 consists of three divisions (Materials and Manufacturing, Transport and Energy, Water and Health) along with a cross-cutting division (Information and Communication Technology). Ceit-IK4 is a member of the IK4 Alliance, which covers a total of 1,400 people and has a turnover of around €100m. Its members share strategies and combine capabilities without giving up their sovereignty. This provides the alliance of nine RTOs with the flexibility to adapt to the characteristics of any company. Today, IK4 is a benchmark in Europe and is among the continent’s premier private, scientific and technological corporations. The use of laser systems to process the material surface for a range of applications, including solar cells, semiconductor lasers and biomaterials. The development of free space or integrated optical sensors using waveguides and diodes. The ICT division at Ceit will also be involved in the project. It transforms data into actionable information through data processing, statistical analysis, determination of probabilistic algorithms, etc. Ceit-IK4 will be involved in several work packages (WPs) and tasks of the LASER4SURF project. It will lead WP4- Modelling for tools for LIPSS processes and parameter selection. The main task will involve developing a software platform to enable industrial end users to select the process parameters for their desired function, without needing to fully understand the LIPSS generation process. This comes right within Ceit-IK4’s area of expertise as the following sections show. WP3- Design and development of an in-line monitoring unit. WP5- Integration of the tools developed. As this WP will cover the integration of the modelling tools developed in WP 4, Ceit-IK4 will decisively contribute to defining the interfaces between subsystems and to testing and optimising their interoperability. As project coordinator, Ceit-IK4 will oversee the technical development, Intellectual Property Rights (IPR) management, regulatory issues, dissemination of the results, etc. Additionally, Ceit-IK4 will lead WP7 gathering experience and new scenario definitions with the aim of maximising the future impact of the project results. Created in 1999, LASEA is a high-tech Belgian SME which has a unique expertise in the design, manufacture and use of laser systems for industrial purposes. More specifically, LASEA offers micromachining solutions (cutting, drilling, engraving, marking, texturing, welding…) for several demanding industries such as pharmaceutical, medical or watch industries. Its laser products and services are: expertise and prototype development, laser workstations, and turnkey machines. Equipped with 18 laser sources femtosecond, picosecond and nanosecond lasers, CO2, high power diode lasers, diode pumped solid state lasers (DPSS), robots (6-axis and XYZC1C2 tables) as well as various measurement systems (pyrometer, power-meter and vision systems), LASEA develops and validates its new process and systems before industrial integration. LASEA is based on the Liège Science Park allowing it to have strong partnerships with regional Universities and the Space Centre. LASEA has already worked in several European and regional projects. Currently LASEA is working in FP7 LASHARE, H2020 HIPERDIAS, H2020 POLAROLL, EUROSTARS HYIBIRD, MANUNET DECOAT and regional projects MICROLAB, GLASSLAS-3D, IMPLANTS-3D and MICROLAS. LASEA has 20 years’ experience in laser micromachining. Therefore, it will play a key role in the development of LASER4SURF project, contributing to the development of the laser texturing prototype mainly from the engineering aspects of the technology. MULTITEL is a non-profit private research centre specialising in signal processing, wireless networks, railway certification, image processing and applied photonics. Its activities include fibre lasers design and prototyping, laser micro-machining, optical sensors and terahertz imaging and spectroscopy. Its work on fibre lasers and micromachining include the design and application of ultrafast lasers in various materials processing like thin films photovoltaics, surface texturisation, glass refractive index modification, welding…. MULTITEL often goes from process development to application driven laser prototyping. Due to its vast experience in ultrashort pulse lasers development and applications MULTITEL will be addressing the beam shaping issues through Work Package 2 (Design and development of a prototype for controlled LIPSS). Furthermore, MULTITEL will contribute to the integration of the optical module into the processing unit developed in Work Package 5 (Integration of the tools developed). Visum Ltd. is an optical engineering company from Dublin that specialises in the development and commercialisation of Near Infrared Spectroscopy (NIRS)-based portable and in-line analysers and measurement systems for process monitoring and quality control applications in food, pharmaceutical and chemical applications. VISUM Ltd. is an SME Champion – awarded a Phase 1 and a subsequent Phase 2 Grant under H2020’s SME Instrument. The optical engineering and smart systems teams in VISUM Ltd. have expertise in sensor integration, optical engineering, chemometrics, data analytics, cloud infrastructures and data management systems. In the Laser4Surf project VISUM will be responsible for the design and development of an in-line monitoring unit, which addresses the development of the in-line quality control system of the laser texturing prototype. Moreover, VISUM will contribute in defining the optical technology suitable for nanometric surface features quality control, developing a functional prototype suitable for industrial settings, using, testing and validating the new nano-metrology prototype surface functionalities and performance. Furthermore, it will contribute to the project’s exploitation and dissemination aspects. The optical engineering and smart systems teams in VISUM Ltd. have specialized expertise in sensor integration, optical engineering, chemometrics, data analytics, cloud infrastructures and data management systems. In the Laser4Surf project VISUM will be responsible for the design and development of an in-line monitoring unit, which addresses the development of the in-line quality control system of the laser texturing prototype. Moreover, VISUM will contribute in defining the optical technology suitable for nanometric surface features quality control. Developing a functional prototype suitable for industrial settings, using, testing and validating the new nano-metrology prototype surface functionalities and performance. 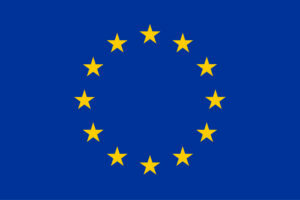 Furthermore, contributions will be made to the consortium in terms of exploitation and dissemination aspects. CIC energiGUNE is a young energy research centre located in the Basque Country, Spain. It focuses on materials and novel devices for electrochemical energy storage including batteries and supercapacitors and thermal energy storage. This is achieved by combining interdisciplinary teams working towards a) excellent and high impact research in materials and electrochemical devices for storage applications; b) becoming a benchmark for collaborative technology transfer to industry and c) high-level training of young researchers and creation of new business sectors. The centre has the backing of government and industry. Since its establishment in 2011, CIC energiGUNE has been involved in 20 European projects, 25 privately funded projects, 14 patents granted or pending, recruited nearly 100 people and produced more than 400 publications in leading scientific and trade journals. The EES department includes two visiting scientists, Prof. J.A. Kilner (Imperial College of London, UK) and Prof. Michel Armand, who are two of the most prestigious researchers and professors in the field of energy storage. Helping set up a database with LIPSS processes and resulting functionalities. The role of CICe will be focused on the processes associated to metals typically used in batteries. Moreover, CICe and CEGASA (third party) will help define the pattern for the battery current collector. Fabricating Li-ion battery electrodes to test the capabilities of current collectors processed by LIPSS. CICe will elaborate the electrode formulation with the input provided by CEGASA, electrodes will be cast and assembled in half cells and full cells for subsequent electrochemical testing that will be used to determine the improvement obtained after the LIPSS processing. Finally, pouch cells will be assembled to prove the scalability of the process. Characterising the current collectors and electrodes. Advanced characterisation will be performed on cycled electrodes that will help us to determine the influence of the LIPSS processing in the electrochemical performance, lifetime and stability of the electrodes. CEGASA will provide valuable input when defining the testing protocols and experimental conditions. 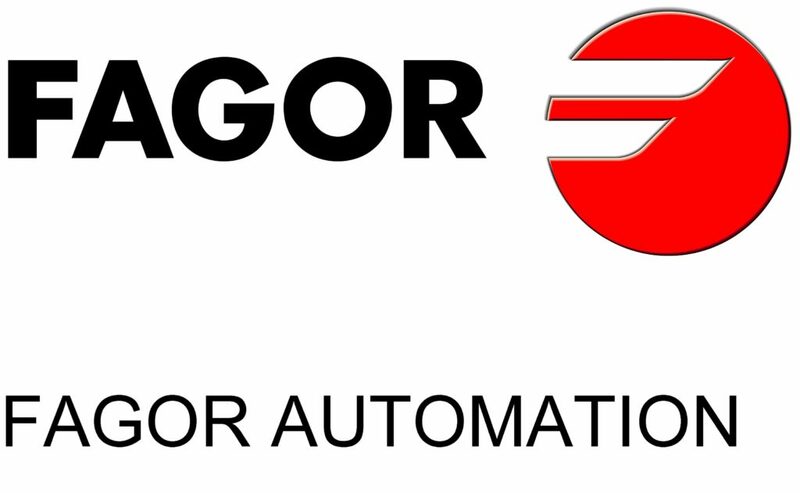 FAGOR AUTOMATION is a company with great experience in the development and manufacturing of products for machine automation and control. With a versatile production process, it develops software and offers tailored solutions to its customers. Historically, FAGOR AUTOMATION has focused on the machine-tool sector where it is one of the world leaders. Moreover, it has a network of branch offices and distributors covering more than 50 countries. Thanks to its commitment to R&D+i (Research, Development and innovation) and infrastructure, the company is able to develop highly strategical projects. This is exemplified by the new photolithography facilities where engraved glass is produced for use in its linear feedback systems. Measuring systems are an important part of the company’s product portfolio. For over 30 years, it has created, developed and patented systems, components and technologies for manufacturing high quality linear and rotary encoders using precision optical technology. To ensure product quality and reliability, FAGOR AUTOMATION uses the most advanced technology and testing and manufacturing facilities which include: centralised computer control temperature monitoring, cleanliness and relative humidity control, and laboratories for climate, vibration and EMC testing to certify the designs. FAGOR AUTOMATION will be one of the end users that will validate the use of the laser texturing prototype developed. This will specifically apply to the functionalisation of optical encoders. The technology proposed will be an alternative to the present photolithography that Fagor is using. During this project Fagor Automation will help set a meaningful target for the technology. 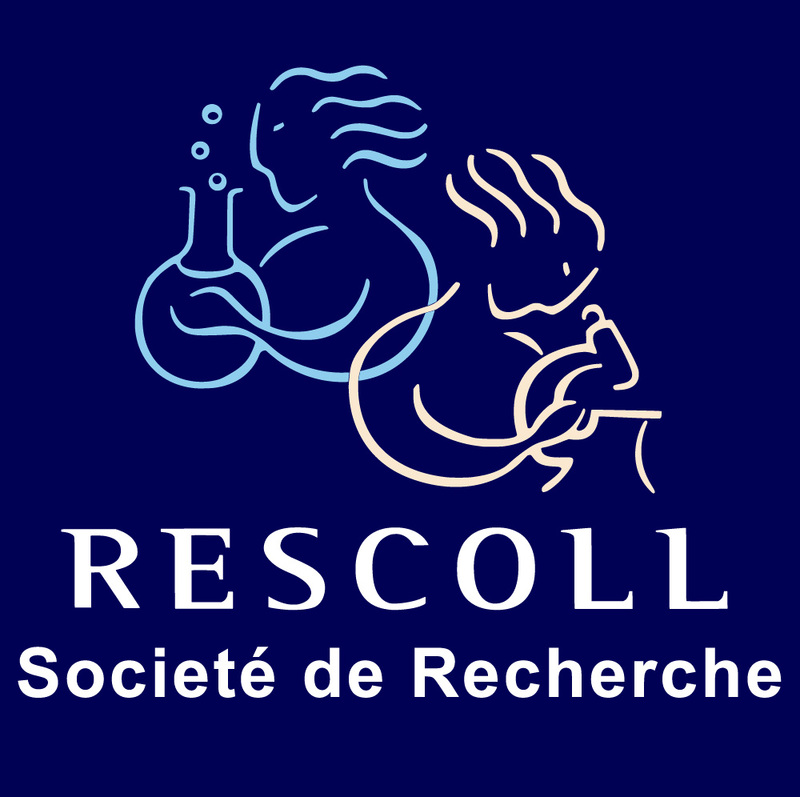 RESCOLL is a pioneering group specialised in composite biomaterials, regenerative materials, resorbable and non-resorbable implants and smart surface treatments for health applications. It supports medical device manufacturers by validating material/packaging/transportation/biocompatibility in line with specifications and regulatory requirements. Moreover, it strives to offer cutting edge solutions to its clients. It has established a platform for transforming these materials and implements high-tech processes such as additive manufacturing and electrospinning to achieve these goals. The group’s subsidiary – RESCOLL Manufacturing – currently works on delivering orthopaedic, spinal and maxillofacial solutions. For this, it uses various materials including titanium alloys, chrome-cobalt alloys, surgical stainless steel and PEEK polymer. In 2016 the company manufactured more than 80.000 implants. In this respect Laser4surf is perfectly aligned with the support RESCOLL can bring to companies, taking up new competencies and offering smart and innovative solutions. For the Laser4Surf system, particularly for dental and orthopaedics implants, the RESCOLL group will be one of end-user test cases. It will provide its expertise in medical device design and manufacturing. The European Science Communication Institute (ESCI) is a not-for-profit organisation that empowers scientists and engineers, helping them to communicate to a non-expert audience, thus bridging the gap between science, technology and society. ESCI supports national and international research and innovation initiatives in communicating effectively and leveraging their dissemination potential. In addition to providing up-to-date media training, ESCI has put together a compelling set of dissemination tools specifically with different stakeholders and target audiences in mind. Their multi-skilled team can ensure that the message not only tells, but sells. The ESCI offer includes: optimising web communication, producing state-of-the-art videos, harnessing social media, organising workshops and engaging with end users to maximise outreach and impact of these initiatives. As a truly European organisation, ESCI draws on key contributors from across the continent. Their senior science communicators work in France, Belgium, the UK and Germany. The European Science Communication Institute also enjoys close ties with science communication specialists in almost every EU country, which enables it to deliver locally adapted solutions in different languages. ESCI will lead the communication and dissemination liaising closely with the exploitation leader. The aim of this activity is to identify the communication needs for the specific audiences and use the communication channels needed to fulfil this task. The ESCI team has experience in web, social media, print, audio-visual and direct 1:1 communication to accomplish a successful mix of communication and dissemination activities. This includes measuring impact and adjusting the approach where necessary.